Tunnah’s musings: Should pharma discuss medicines with patients? In an age of conversation, Paul Tunnah muses this month on whether the regulations governing a pharmaceutical industry that is trying to become more patient-centric are actually holding back healthcare innovation, as well as protecting patients. ‘The road to hell is paved with good intentions’, or so the saying goes. It’s an interesting proverb, the background of which is not fully understood, but it is often interpreted as meaning one of two things. Firstly, that good intentions are rarely followed through, as is often the case with New Year’s resolutions that rarely make it past the end of January. The second interpretation is that plans laid down which, on face value, seem to be inherently ‘good’ often have unexpected side effects of leading to undesirable conclusions. It’s a proverb that I think could well be applied to how the pharma industry communicates with patients about prescription medicines, with the industry’s challenges relating to both interpretations. The challenge for me can be summed up by the fact that we work in an industry that is increasingly talking about patient-centricity (and I believe for the most part sincerely), but is often scared of actually engaging with patients for fear of doing the wrong thing. This fear stems from the fact that, in most global markets, direct-to-consumer (DTC) advertising of prescription medicines is obviously against the industry’s regulations. 23.1 Prescription only medicines must not be advertised to the public. This prohibition does not apply to vaccination campaigns carried out by companies and approved by the health ministers. 23.2 Information about prescription only medicines which is made available to the public either directly or indirectly must be factual and presented in a balanced way. It must not raise unfounded hopes of successful treatment or be misleading with respect to the safety of the product. Now, nowhere in this statement does it say that the pharma industry cannot talk to patients, but it is worded sufficiently open-ended that the interpretation is typically that it is safer to not to speak to patients at all, for fear of ‘advertising’. And I think that’s a real shame. It means that companies that genuinely want to be more patient-centric find it hard to follow through on that, just like the first interpretation of that proverb, while those that do try and engage with patients can inadvertently slip into the trap of ‘breaching’ the code and risk being pulled up by their peers, akin to the second interpretation. The end result of all this is a healthcare ecosystem where everyone is speaking to everyone else, except for a break in the chain between the pharmaceutical industry and the general public / patients. This opens the doors for some often extremely one-sided debate around medicines, and alienates the industry to the public. Is it right that all manner of websites, from individual blogs through to global behemoths such as Facebook feature discussion around specific medical treatments, much of which is not correct, but the pharma industry is scared to intervene, even though it should know its medicines better than anyone and wants to help maintain accuracy? Is it right that patients desperately want to join in with social discussions and share their personal experiences of coping with a disease and the impact of particular treatments they have tried, whether good or bad, but cannot see such discussion reciprocated? I’m not saying that pharmaceutical companies should be encouraged to promote medicines to patients. There are very good reasons why regulations seek to prevent this, and even in markets where this is allowed the merits for both patients and the industry are dubious. But perhaps the regulations need to be looked at to help facilitate non-promotional discussion on medicines between patients and the industry? • Would it be beneficial if pharma companies could openly discuss medically accurate (non-emotive promotional) information with patients? • Can pharma ever be truly patient-centric within the current regulatory framework? • Should regulations encourage productive patient-pharma engagement more? • Do patients want to talk to pharma about specific medicines and is there value for them in doing so? I know there are lot of strong opinions about patient engagement when it comes to prescription products, but I do think we need to at least have a constructive debate about how the regulatory framework could adapt to encourage greater patient-centricity within pharma in an age of democratized influence and social conversation. If not, the good intentions of the regulators in protecting patients, and the industry in trying to help them manage their disease better, may simply end up trotting down the road to hell. I’d welcome your thoughts, whether you agree or not and, until next month, stay well. 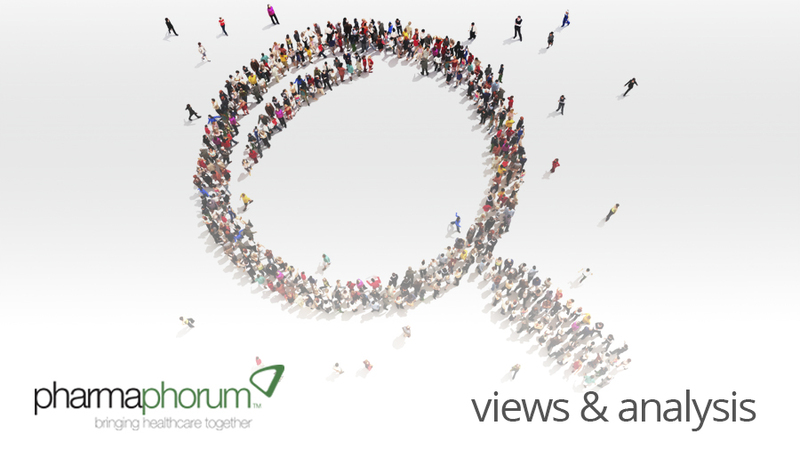 Have your say: How should regulations support a more patient-centric pharma?